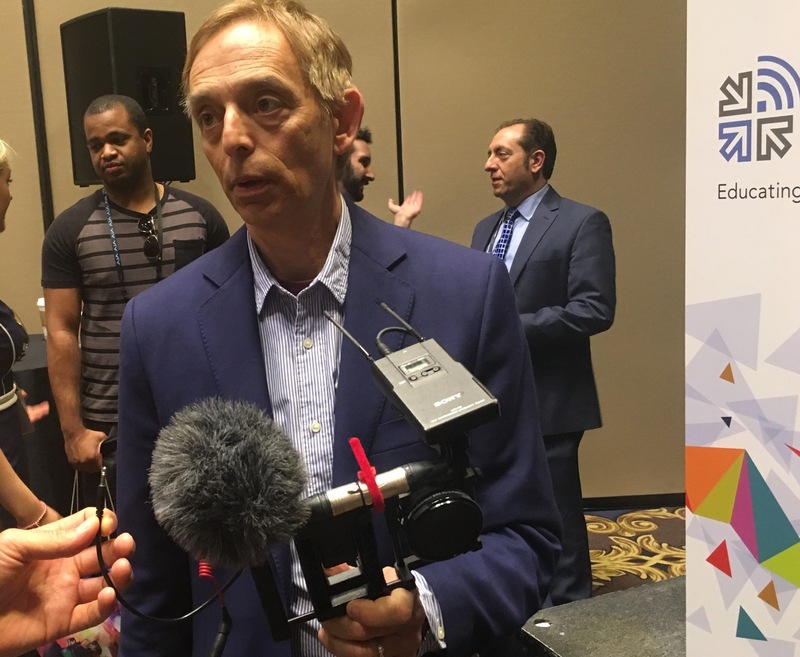 Educators and professionals who attended the Broadcast Education Association’s annual convention last month failed the “what happens in Vegas, stays in Vegas” test. Even before boarding their flight home, educators jotted down lesson plans for the waning weeks of the semester and started experimenting with new apps or software to try and master over the summer. If you missed the conference, here’s a recap of some of BEA’s big ideas. “If you do not teach podcasting 101, you need to get there,” said Jason Norris, founder and owner of OntheGo.FM. Live-streaming video dominated the discussion of social media tools, from Periscope to Facebook Live to Instagram Live. Podcasting can find a place in many journalism classrooms without a lot of training for faculty or additional expenses for schools. The tools (recording apps and editing software) are cheap and accessible. Panelists varied on their responses for editing software, but most agreed that the free program Audacity served as a starter before advancing to Adobe Audition. Panelists also varied on their responses for recorders, and many said their students prefer to do most of their audio work on their smart phones. 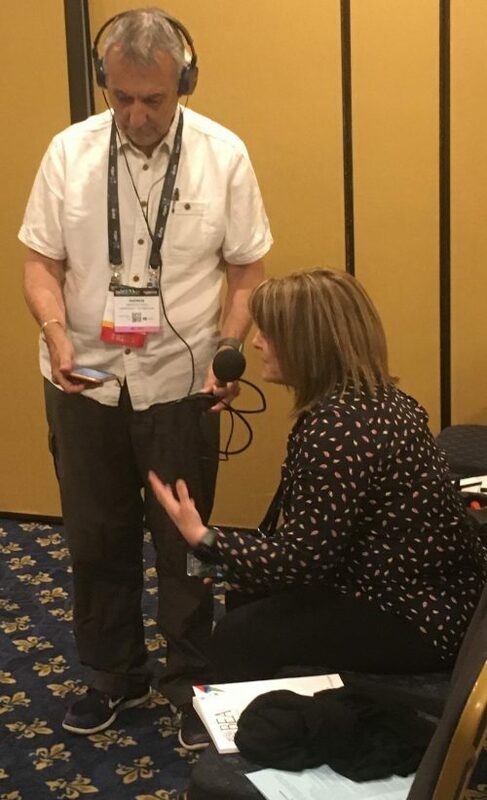 If you’re not quite to the point of teaching a full podcast, consider adding audio assignments, like the “audio diary.” Kim Fox of the American University of Cairo, Andrew David, a former BBC reporter, and Jennifer Williamson of Virginia State University shared their audio diaries. Each person recorded snippets of “a day in the life” and edited the audio for a short diary. This assignment could allow students to have an easy introduction to audio recording and challenge them to think critically about the natural sounds they need to tell the story. (Fox also recommends “Radio Diaries DIY Handbook,” to get started. Rackham capitalizes on the popularity of podcasts with hands-on assignments. For instance, his students listen to five minutes of a podcast and then discuss or write a critique. From there, he gives them an interview assignment and requires transcription. They then edit their interviews in Adobe Audition and have to write and produce intros and outros. By the end of his class, the students will have produced a podcast, found graphics and written scripts. Gina Baleria of San Francisco State sets up a “secret” Facebook account for her class, so they can practice Facebook Live skills without a public audience. Students often had issues with looking at the camera when they did Live selfies, she said, and also found switching from selfie mode to shooting surroundings a challenge. Good Facebook Live requires good audio, Baleria said. She recommended a $50 microphone and a stabilizer. Students also have to get comfortable with responding to viewers by name and encouraging the audience to like and share the stream. Ask Mike Castellucci of Michigan State University what his go-to video camera is, and you might be surprised. He pulled out his iPhone and showed clips of news stories he shot entirely on his phone for WFAA in Fort Worth, Texas. The tool is native to students, he said, though they need guidance when it comes to shooting good video, video sequences, and gathering quality audio. Even though the phone is more than sufficient, Castellucci said his sources at times were “visibly underwhelmed” when he showed up for the story with only his phone. But still, it’s his go-to tool. “As for the cons, I’m trying to come up with one, and I can’t,” he said. Mike Reilly with Google News Lab shared several fun things journalism educators can do students. Google Earth Pro can show historical images, which can make for good backgrounds in a broadcast story about a place. Google Earth Timelapse can show 32 years of changes to a location, and it’s easy to embed. Reilly showed examples from Google Earth about the exterior of the Pulse Nightclub in Orlando. He saw several photos tweeted that showed the outside of the club where a mass shooting happened last year, but when he ran the photos through Google Earth, the photos were not of the Orlando club. This tool can be useful for fact checking. Besides the Google Earth tools, Google Trends can help journalists discover terms that trend on Google. These trends can then be useful in news stories about comparable topics. Google Trends can also help students identify the terms that audiences search for, which could inform story ideas and SEO-friendly headlines. With a notebook (and laptop) full of ideas and inspiration from BEA, it’s time to begin revamping classes for fall. New tools. New ideas. New energy. Leigh Landini Wright is an assistant professor of journalism and head of the journalism sequence at Murray State University in Kentucky. Prior to teaching, Wright worked as a newspaper reporter and editor for 16 years in far western Kentucky. Her research focuses on best practices of social media in the newsroom and in the classroom.